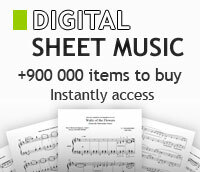 Charles Ives - Orchestra - sheet music books scores (buy online). By Charles Ives. Arranged by William Schuman. Full Score - Study. Published by Theodore Presser Company. Set of Parts. By Charles Ives. Orchestra. Published by G. Schirmer (Associated Music Publishers). Full Score. By Charles Ives. (score). Orchestra. Size 9x12 inches. 44 pages. Published by Associated. Full Score. By Charles Ives. (score). Orchestra. Size 9x12 inches. 52 pages. Published by G. Schirmer, Inc.
By Charles Ives. Orchestra. 21 pages. Published by G Schirmer, Inc.
Set of Parts. By Charles Ives. Orchestra. Size 9x12 inches. Published by Associated.